Today it’s my honor to have Shane Duffey guest posting here at unSeminary. 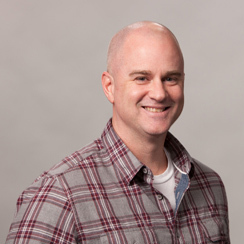 Shane is a part of the directional leadership team at NewSpring Church in South Carolina. This is one of the most innovative churches in the country and a big part of that innovation comes from Shane and his leadership. He’s responsible for their service programming in adult and student ministries and helps guide NewSpring as it attempts to reach people who don’t know Jesus. Get to know Shane: Follow him on twitter. 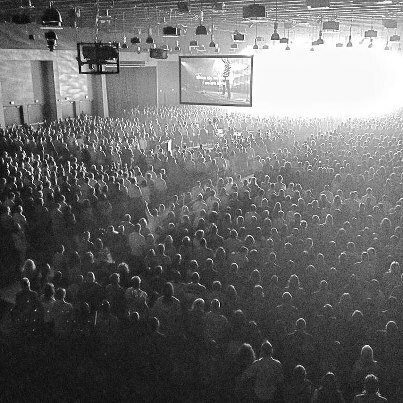 Easter 2013 at NewSpring Church was a weekend our church we’ll never forget. We believe that every number has a name, every name has a story and that every story matters to God and the sheer numbers of those who attended (49,335) and who responded to the offer to follow Jesus (1,334) blew all of our minds. 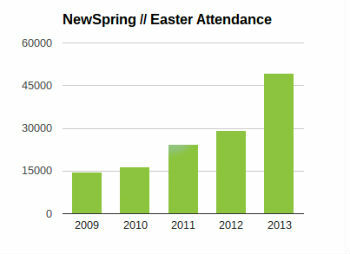 Those numbers are much bigger than we anticipated and they reflect 69% growth over Easter 2012. How does that happen? Well, we certainly believe that the Lord does as He wants and we know it’s an act of grace for anyone to show up at our church. We also believe that God has given us stewardship over our church and He expects us to pray and ask and leverage the gifts He’s has given us to prepare for what He intends to do. With all of that in mind, for Easter 2013 we decided to take our Pastor and a film crew to Israel and cover ‘on location’ the five primary sites of the last days of Jesus from the Upper Room to the Empty Tomb. So, as those plans materialized and the formation of the video and teaching came together over the months leading up to the trip, we decided to promote Easter in a different way. Instead of making the assumption that everyone comes to church on Easter or making what we were planning for Easter a big surprise, we thought we’d let everyone in on our plan and preparation. We also decided to dedicate a three-week series leading up to Easter that focused our church on getting their friends and family to one of our Easter services. We simply wanted our church to get ready for Easter so we purchased the website ‘www.getready.cc’ and we entitled the series I mentioned above ‘Get Ready’. The week before Get Ready as our team was in Israel filming our Easter content, we began using social media (Instagram, Facebook, Twitter) and the ‘getready.cc’ website to its full extent. We loaded up those sites w/ pictures and teaser videos and continued to push Easter upon our return through the Get Ready series. Now, to be clear, each week of the Get Ready series offered more than just ‘bring people to Easter’ but we did teach spiritual principles that fed into one of our core values, Found People Find People. We saw many salvations and life change during that time as well.